From Egypt to Israel and beyond, the July/August 2018 issue of Biblical Archaeology Review features the latest discoveries in the world of Biblical archaeology! Start in the tomb of ‘Abdiel, an Egyptian vizier with a Semitic name. After exploring his tomb and identity, journey north to investigate the site of Khirbet el-Mastarah and to look for evidence of the early Israelites in the Jordan Valley. 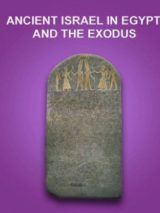 Return to Egypt to analyze an enigmatic papyrus that contains three Israelite psalms. Then celebrate the legacies of three archaeological giants—Lawrence E. Stager, Ephraim Stern, and James F. Strange—who shaped and influenced the field of Biblical archaeology. Additionally, explore the prehistoric diet at Tel Tsaf in Israel, look for the scribes in the Dead Sea Scrolls, and come face to face with ancient Greek warriors. Visit us online at Bible History Daily to see the latest news in Biblical archaeology, as well as additional articles and videos about key Bible and archaeology topics, including an article by T.M. Lemos of Huron University College about violence against children in the Hebrew Bible. Further, explore the translations of what may be three Israelite psalms in an Egyptian papyrus. And be sure to explore the BAS Library, which features every article ever published in BAR, Bible Review and Archaeology Odyssey, all footnoted articles in BAR Notables and Special Collections of articles curated by BAS editors. Revisit some notable BAR articles by Lawrence E. Stager, Ephraim Stern, and James F. Strange, which have been compiled by BAS editors in a special collection to celebrate the legacies of these three archaeological giants. Several decades ago, Egyptologist Alain Zivie excavated a tomb in Saqqara, Egypt. Discovering secret passageways and hidden staircases while reinforcing collapsing chambers, he and his team carefully uncovered the tomb level by level—until they came face to face with the tomb’s owner himself: ‘Abdiel. The high-ranking ‘Abdiel, who has a Semitic name, served as a vizier to two pharaohs: Amenhotep III and his son, Akhenaten. 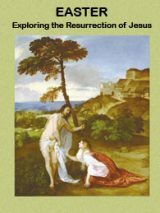 Join Dr. Zivie as he explores ‘Abdiel’s tomb and identity. The enigmatic Papyrus Amherst 63 was likely created by the descendants of the Aramean and Judean soldiers who in the fifth century B.C.E. had been stationed at the southern Egyptian border. Recorded in a cursive script derived from Egyptian hieroglyphs, the Aramaic texts of the Amherst papyrus keep challenging what we know about Aramean religion and the history of the Hebrew Bible. Hidden in the Jordan Valley, Khirbet el-Mastarah may shed light on early Israelite origins. The site contains numerous enclosures and structures, which appear to have been used by a nomadic or semi-nomadic group at the beginning of the Iron Age (c. 1200 B.C.E.). Archaeologists Ralph K. Hawkins and David Ben-Shlomo examine the evidence. Three significant scholars—who shaped and influenced the field of Biblical archaeology—recently passed away, but their legacies live on. The impact of Lawrence E. Stager, Ephraim Stern, and James F. Strange will be felt for generations to come. Biblical Views: Where Are the Scribes in the Dead Sea Scrolls?